Let's face it....Nothing's better than watching christmas movies in totally tacky stylish christmas Pj's during the holidays, right? There are certain movies which i will never ever will grow out of and i'm not even ashamed of sharing them! For me, there are a couple of movies, which belong to Christmas just like a Christmas tree. Maybe it's the german in me, but i just have to watch the Sissi movies during christmas! At least the first one. They always run on TV during the holidays. Who dosen't like a princess dresses and romantic love story? These are the movies i watch during the holidays, but my list with embarrassing cute christmas movies is much much longer. I love watching sweet Christmas love stories to get me into the spirit of Christmas :) I watched my first Christmas romances mid November to celebrate the holly jolly season ahead of me. 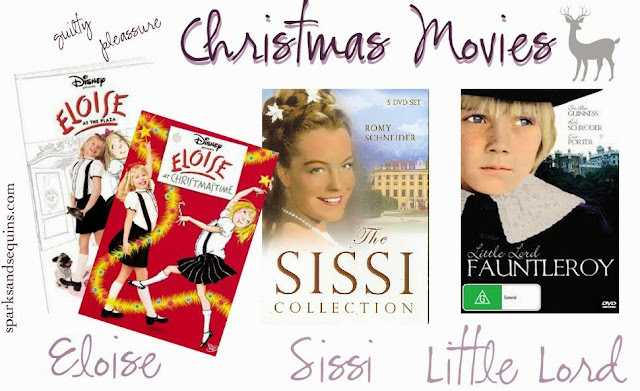 Do you have those guilty pleasure christmas movies? What's your favorite?